In a late re-arrangement of the cancelled 14th October game at Ipswich because of pitch commitments, John Gordon at short notice assembled a LX Club team with strong potential, which included three local players. The game was played at the Tuddenham Road site, and was the third arranged by John for LX Club versus Ipswich Vets this year. However, as is sometimes experienced by LX club sides, the teams took time to adjust. After five minutes LX were 1-0 down, as Ipswich swept down the centre, and Mike Tew’s tremendous shot flew into the goal, despite Nigel Dixon’s valiant efforts. Following a penalty corner, a smart interchange at the top of the circle led to a fierce shot by Robin Samson scoring another goal for Ipswich. However it was not all one way, and with the irrepressible Imtiaz Mahmood-Sheikh and Gerald Wilkinson combining well down the right wing, John Stewart in the Ipswich goal was required to make some crucial saves. Nigel Steed (LX Club) playing for Ipswich demonstrated his fullback skills in nullifying the LX attack on the left side. Ipswich’s sprightly right winger gave the LX Club’s defence a fairly torrid time, and Tony Irwin scored from a cross, a third goal for the home Club, with a back board shaking shot. John French for LX at centre half played skillfully throughout the game, and eventually following one of his precision passes, Gerald Wilkinson broke away, crossing for Geoff Morley to glide in from the left wing position, and on the reverse stick curled an elusive shot over the Ipswich goalkeeper to make it 3-1 down at half-time. The second half started in a much more positive nature. LX Club, with Norman Ballard covering almost all of the pitch with excellent interceptions and positive passes, often put Stephen Stowell away, whose strong shots were well saved by John Stewart. It was against the run of play when Tony Irwin scored again for Ipswich. John French then crashed a superb shot from a penalty corner to make the score 4-2, but Ipswich finished off any hopes of a LX Club revival, when Mike Tew at centre forward for the home team, smashed back a clearance from the LX Club’s defence into the goal, to give the home Club a well deserved 5-2 win. Many thanks go to John Gordon and Mike Fennick, who umpired the game, and again especially to John who pulled out all the stops to reorganise this game, and provided the after match meal, all in his preferred low-key style. 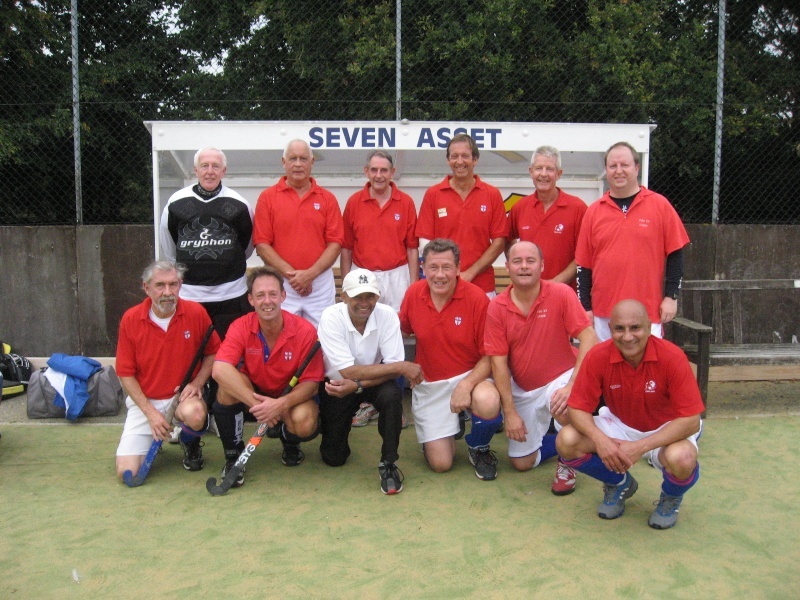 Team:- Nigel Dixon, Andy Hicks, David Read, Howard Walker, John French, Mark Campbell, Gerald Wilkinson (Captain), Imtiaz Mahmood-Sheikh, Stephen Stowell, Norman Ballard, Geoff Morley.